Policy change is already difficult to measure and explain, but in Scottish politics there is an added dimension. 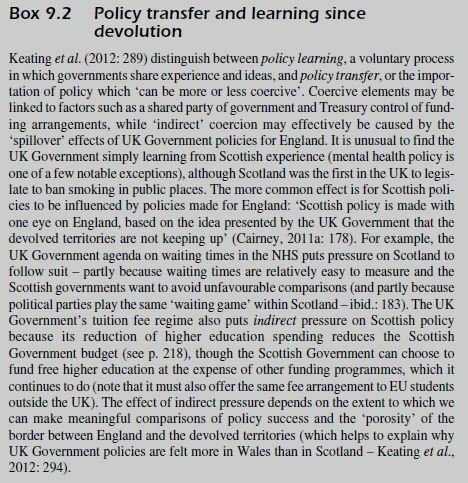 It is common to gauge policy change according to the extent to which Scottish Government policy diverges from UK Government policy. This comparison can only take us so far, so I will begin with a discussion of divergence then take us back to Scottish policy change in its own right. What might cause convergence and divergence? The first relates to the idea that Westminster had insufficient time for Scottish legislation, and so devolution would present a new opportunity for policy innovation and new ideas. 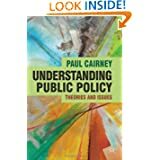 Yet, perhaps after a honeymoon period, public policy did not appear to change dramatically or mark dramatic policy divergence from the past or the rest of the UK. The second relates to devolution as a way to avoid policy innovation: to step off the train associated with the constant top-down reform agenda of the UK government. This second image is often a better guide, and we can link it to (a) the idea that devolution in 1979 represented a missed opportunity to cushion the blow of Thatcherism, and (b) current debates on the extent to which devolution can actually protect Scotland from the worst excesses of UK policy (I am paraphrasing the arguments of other people here). 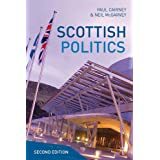 The third relates more to policymaking than policy: ‘Scottish solutions to Scottish problems’ may relate to how Scottish institutions process policy than the actual policy outputs and outcomes (the ‘Scottish policy style’ or ‘Scottish approach’). As we have discussed in several lectures, this is not necessarily a small difference (particularly if you focus on Greer/ Jarman’s account of the differences in the use of ‘policy tools’). 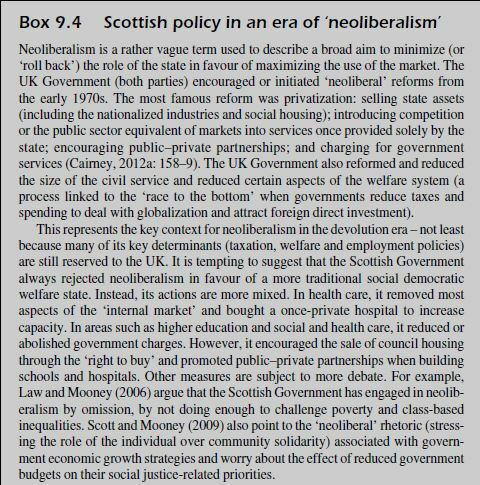 We miss a lot if we just focus on divergence, because much Scottish policy reinforces or maintains existing policy differences, such as when the Scottish Government reformed its curriculum and addressed teacher-local authority relations. Can you think of other examples? We miss a lot of policy change if we only focus on divergence from UK government policy. For example, maybe the governments innovate and emulate each other (they don’t though – see box 9.2). 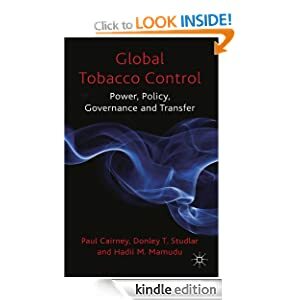 In the next lecture, we can also go into more depth on the idea of policy change, to identify a difference between (for example) policy divergence as a set of policy choices and their actual effect.